Bookfest catalogue that I got after I register. I was there to look for Lonely Planet for Korea and Mumbai as I will be traveling to this place in next 6 months. However when I got there, I was told no more stocks already ! Shock and sad.. sigh ! As I have paid RM2 entrance fee and if I would be able to buy from the bookfest, I would enjoy 20% off. Anyway I went to cure my sad heart with freebies. 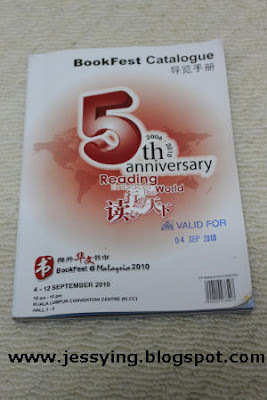 I first read it in Malaysian Women Weekly posting on the facebook that they are giving out goodies bag to those who bought the magazines from the bookfest. 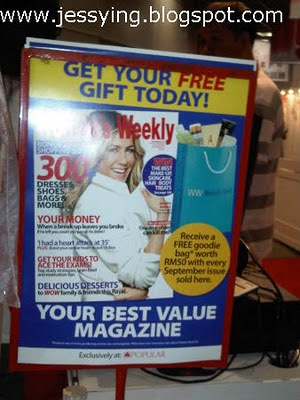 The magazines are located at cashier counter. As stated in the notice, this freebie should worth RM50. I bought for Sharon this set, it comes with OPI Coconut Melon Body Cream, Herbal Essence Shampoo, Sample of Shiseido perfume, ZA True White Primizer sample and Cleo's strap. Yipee... love trying new mask !! While mine comes with Ren Multi- Mineral Pore Minimizing Mask, Herbal Essence Shampoo, Sample of Shiseido perfume, Ettusuis Acne Day time defense and Cleo's strap. I was told all goodies are almost same but there are some different one. 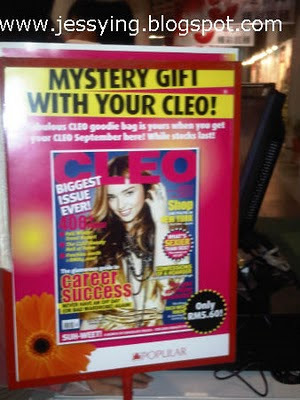 And goodies bag only available for the 1000 person who bought the magazines. 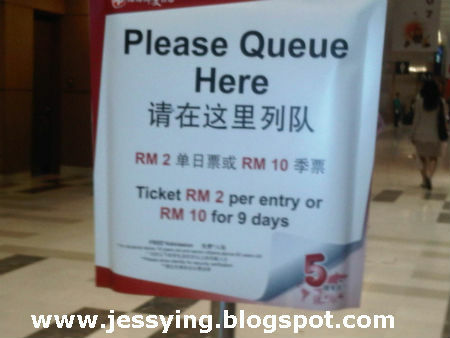 Note : The goodies bag need to redeem from the counter outside the hall. Hehe , I did earned back my RM2 entrance fee with all these goodies! Indeed !! quick grab your copies too! Juli: one of the readers said 2nd day the goodie no more liao!